Phuket is one of the most well-known beach destinations in Asia; travellers fly in from all around the world for some soaking up in the sun and relaxation at the prized Thai island. Among all the beaches in Phuket, Patong Beach is the largest and busiest one on the island. You could be forgiven at times in thinking you had landed in Italy with the number of Italian restaurants that can be found in Patong, both stand alone and those that are in hotels. Fortunately there is much more to Patong than pizzas and bars contrary to popular opinion with some superb dining opportunities, many of which are great value. 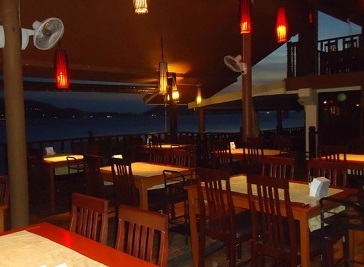 Pan Yaah Restaurant is located along the road heading towards Kamala Beach and it comes with a splendid view that overlooks the entire Patong Bay. 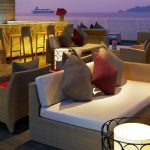 It is considerably a romantic spot, especially when you get a table by the edge to catch the sun set during the evening. The cosy size Churrasco Phuket Steakhouse has Indoor and outdoor dining areas and serves South American dishes, such as Angus and Wagyu Steaks, Argentinean Beef Soup. Churrasco Phuket Steakhouse also offer a large choice of wines, beers and Latino cocktails, and of course tequila to accompany your meal.